= Islaya grandiflorens var. spinosior Rauh & Backeb. Origin and Habitat: Chala, Southern Coast of Arequipa, Peru. Altitude: 20-250 metres above sea level. 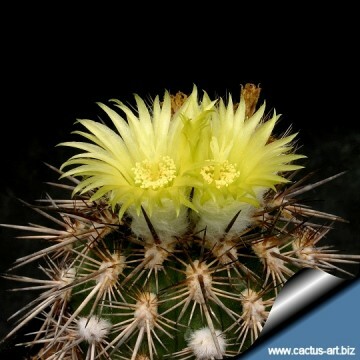 Description: Eriosyce islayensis, formerly known as Islaya islayensis, is a small globose to cylindrical cactus with very woolly areoles end dark spreading spines, it is indeed very variable and has received many names, but it is clear from fieldworks that the different wild populations constitute a single but multiform species. Islaya grandiflorens var. 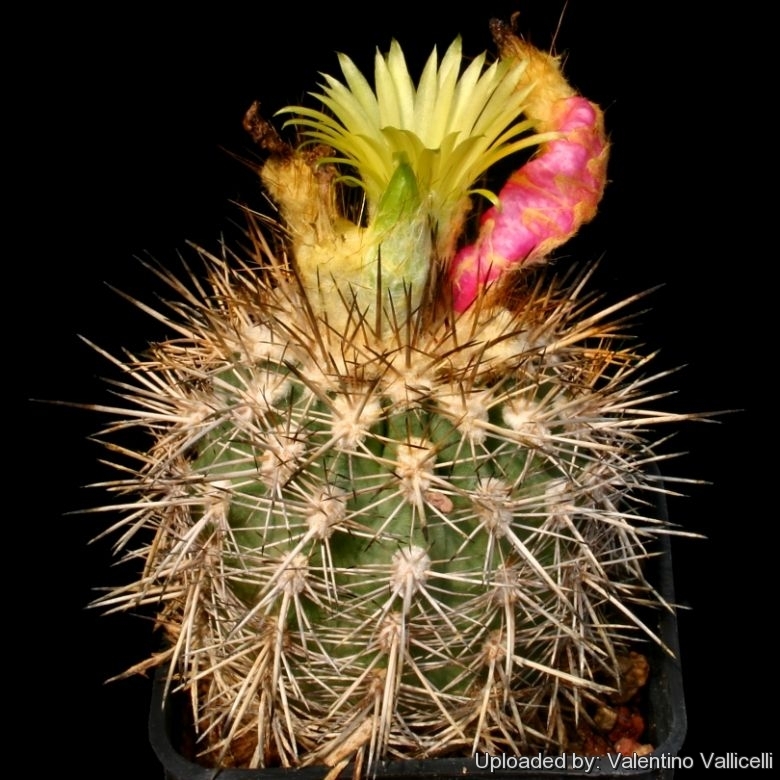 spinosior has large flowers (the larger of the islayas) and very strong spines. However Islaya grandiflorens var. spinosior, is generally included within (as a synonym of) Eriosyce islayensis, suggesting that there is not really a fundamental difference between the two. Stems: Grey-green, 5 to 40 cm tall, 5 to 20 cm in diameter, apex very woolly. 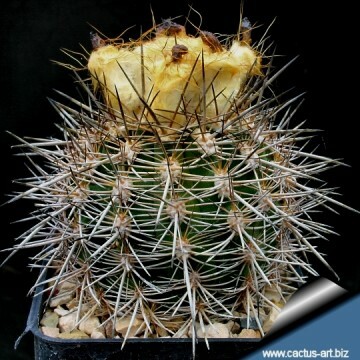 Central spines: 4 to 7 spreading, thick, 12-16 (or more) mm long. 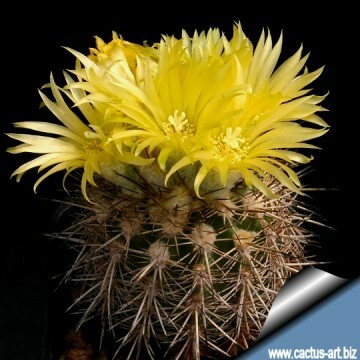 Flowers: Diurnal, about 4 cm long and in diameter, born on younger areoles from a yellowish woolly crown in summer, wide funnelform, yellow, outer perianth segments often reddish, floral tube short with tufts of dense wool and long reddish bristles.